for Dentists, Dental Assistants, Patients, AND anyone with teeth! 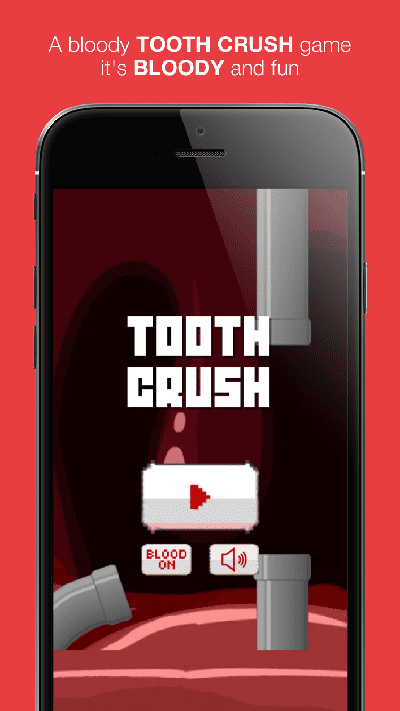 Tooth Crush the Dental Smash Game allows you to become a DENTIST EXECUTIONER and smash those pesky teeth! 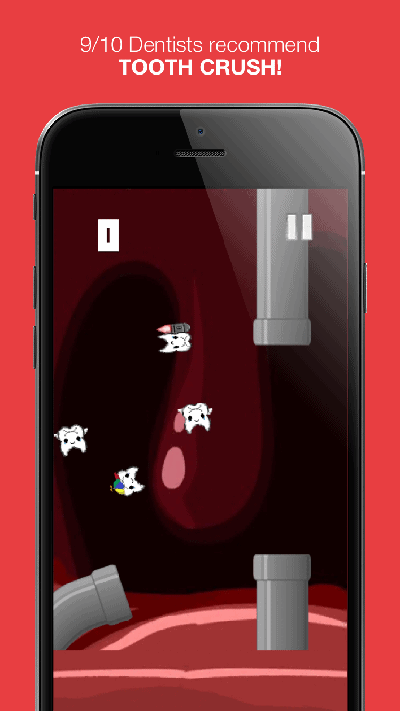 An easy fast and 100% free tooth arcade game to play at any time! Check out our promo video for a sneak peak of the tooth crushing madness! 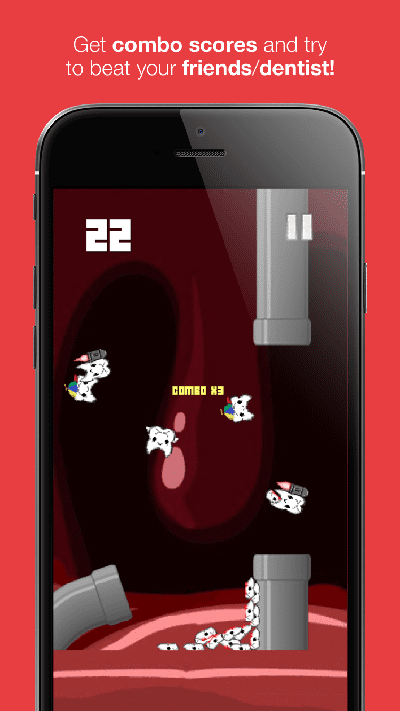 Tooth CRUSH is a fun free arcade game for iPhone and Android. I made it because I was bored. Check it out, rate it 5 * and let me know what you think! A fun high score driven arcade game with awesome sounds. What will your highscore be? Can you beat your friends or dentist? – Share your combos with friends – how many can you get? 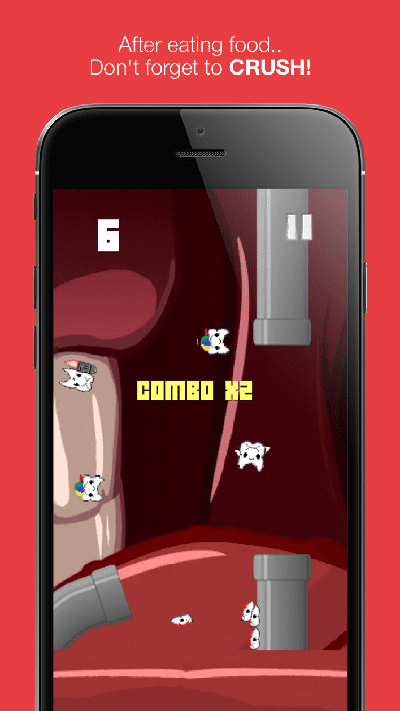 – Smash those teeth with or without kickass sound! Stuck in a dental waiting room? SMASH SOME TEETH in the mean time! Who doesn’t love the opportunity to smash some teeth like a simulated dentist. Support: email us at teethfaq [at] gmail.com or use the contact form. Welcome to our Teeth Blog! We love answering questions about teeth and dentistry, and give quality answers from qualified dentists. Teeth FAQ Blog was started by Dr Kit, an Australian trained general family dental surgeon. Please read our disclaimer. Do I need To Keep Invisalign Trays Once They Are Done? When does Invisalign stop hurting? Why do I have a smelly tooth? How can I fix stop it smelling? How Many Wisdom Teeth Do People Have? This purpose of this blog is intended for educational and informative purposes only. It is to share general information. Only a health professional who is examining you in person with an true patient-doctor relationship and truly understand or provide advice on your unique situation. Read my full disclaimer.